You've asked yourself the question: just how much am I playing this damn game? Is it months? Years? Decades, even? 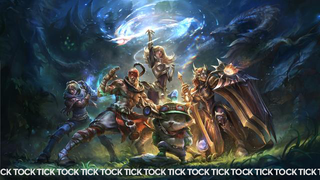 If you're been burning daylight playing League of Legends, you can finally get an answer. Lots of people play LoL, with 7.5 million jumping on daily during peak play hours. That's a lot of man-hours being poured into the hit MOBA game. WastedOnLOL lets players enter a summoner name and to find out how much of their lives has been given over to jungling. Right now, top player Claramorganes is on top of the charts with 353 days of playtime. That's almost a full year. Crazy amount of dedication right there.